Good afternoon, everyone! It’s a rainy Wednesday here in San Antonio (for which we are so grateful), and while we’re glad we didn’t have to venture out into the storm today, we do miss all of you, and look forward to being back on the air next week. This week Guadalupe Radio Network is having their Fall Share-a-thon, so if you have not yet had the opportunity to pledge your donation, please do it today! 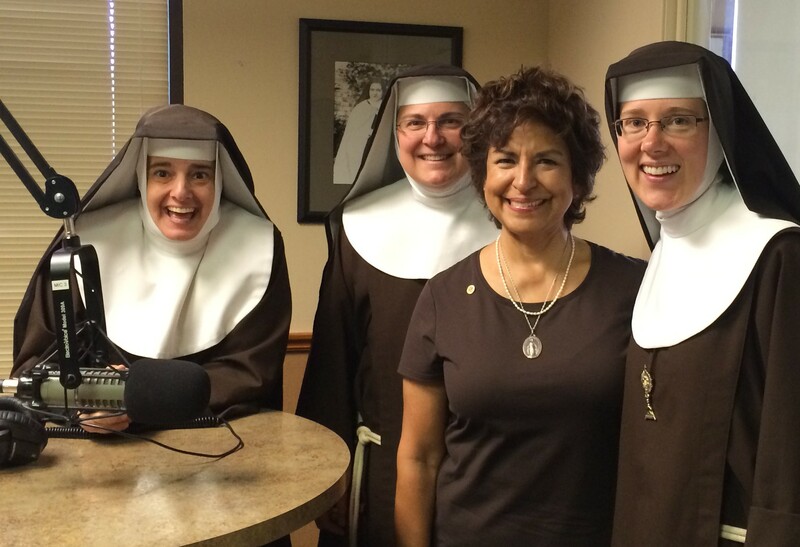 This Catholic radio station is only able to stay on the air because of the generous support of faithful listeners like you. Click here to donate now. 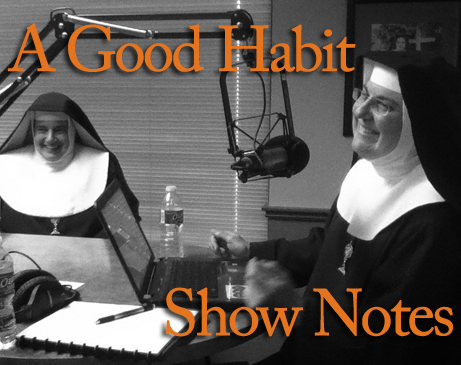 https://texasnuns.files.wordpress.com/2014/09/a-good-habit-09-03-14.mp3On our last episode of A Good Habit we were joined by Mary Jane Fox of the Pilgrim Center of Hope, who talked with us about a topic very dear to her heart and ours: the beauty and dignity of being a woman. To that end she founded the Catholic Women’s Conference, a yearly event here in the Archdiocese of San Antonio which gives women the opportunity to renew and refresh their souls, and gain a greater understanding of God’s infinite and personal love for them. The conference will be held this Friday and Saturday, September 19 and 20 at the Henry B. Gonzalez Convention Center. It’s not too late to get your tickets! Please click here for more information. Besides all the fantastic speakers, we will also be there with our wonderful Nonnavita Soap, so please stop by our table and say “hello”, we’d love to meet you! Sr. Grace Marie mentioned a couple books on the show which can help us to realize the particular gifts and privileges we have as women. Both these books are available through Amazon, and when you purchase them through AmazonSmile (which costs you nothing, and still offers the same prices as Amazon) and select Monastery of St. Michael the Archangel as your charity, Amazon will donate a percentage of what you spend to us. Please go here for more information on how using AmazonSmile will put a smile on our faces and help support our life and mission of prayer. This entry was posted in A Good Habit and tagged A Good Habit, books, Catholic Women's Conference, Mary Jane Fox, Nonnavita Soap, Pilgrim Center of Hope, radio by texasnuns. Bookmark the permalink.